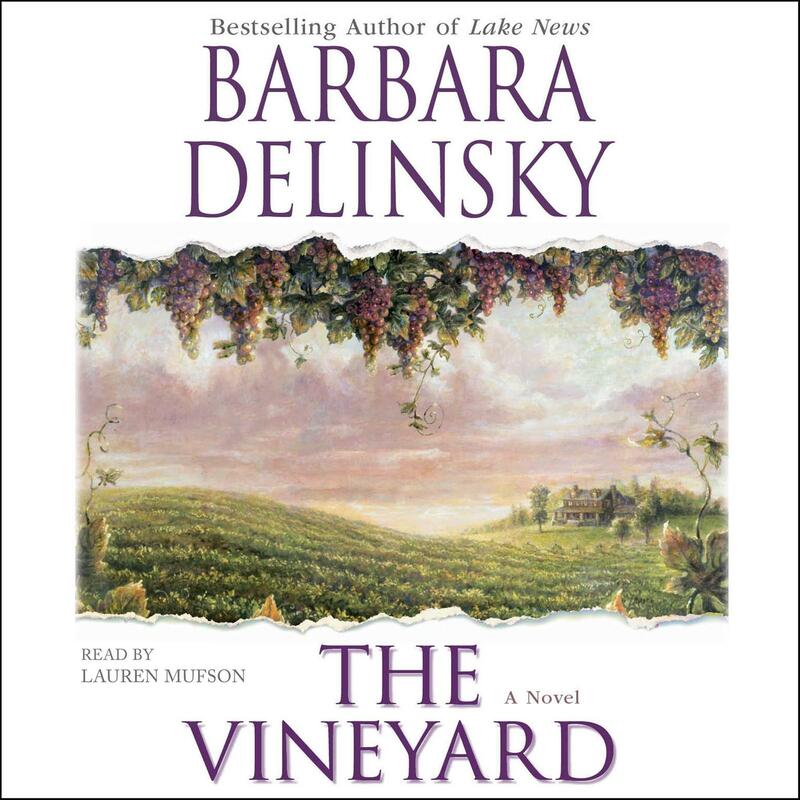 The Vineyard - Audiobook (abridged) | Listen Instantly! To her family, Natalie Seebring is a woman who prizes appearances. So when she announces plans to marry a vineyard employee mere months after the death of her husband of fifty-eight years, her son and daughter are stunned. Faced with their disapproval, Natalie decides to write a memoir. Olivia Jones lives vicariously through the old photographs she restores. She and her daughter Tess have no one, so they cling to the fantasy that a big, happy family is out there somewhere. When Natalie hires Olivia to help with her memoir, a summer at Natalie's beautiful vineyard by the sea seems the perfect opportunity to live out that fantasy. But all is not as it seems at the vineyard in Rhode Island -- Natalie is not quite the mothering type. Simon Burke, who runs the vineyard's day-to-day operation, sees in Olivia and Tess an unwelcome reminder of the wife and daughter he tragically lost. The Vineyard is a fascinating story of two women, a generation apart, each of whose dream becomes bound with the other. Download and start listening now!
" Barbara Dolinsky is one of the best romance writers around! She never fails to deliver. She never fails to tug at my heart. I believe that Tess is the best character in this book! She wrote her character so vividly and so perfectly that I could picture this child so clearly in my mind's eye! " " This was such a good book. I hated to see it come to an end. Loved the storyline, the characters, and the knowledge about vineyards and photo restoration. " " This was a lovely book. Had history, love, friendships etc. A little predictable but all in all, a solid read. " " Simplistic, but entertaining If you like a good romance "
" I think it might make a better movie than book. Not bad. " " I learned much about harvesting grapes, but mostly I learned that everyone needs someone to love and often we as people look at the shell that we are made up of and judge a person by that instead of what is inside. I also was reminded that love can find a person at any age and who are we to judge if it is right or wrong. Also, things go much better if we all work together instead of pulling each other apart. " " This is a great light read. Delinsky is very descriptive and makes you feel like you are right there in the scene. " " a romance novel with some good vinticulture detail "
" I love anything about vineyards! " " I enjoy Barbara Delinksy's books and this one was no exception. No surprise that the single mom and widower, neither of whom is supposedly interested in a relationship, comes together. " " This was a fast and easy read. I liked the story and the setting, and that the story moved along quickly. I think I was just ready for a light read. " " Took me a while to get into...sometimes its like that with Barbara Delinsky...but I got into it and thought it was very well written and a lot of depth to characters "
" I read this quite a while ago, was one of my first books by this author. As most of her books, I get wrapped up in the characters and couldn't put it down. I good emotional, light read that takes me away for a while. " " Quick read while traveling by train in Germany "
" Yeah, So I occasionally read fluff. 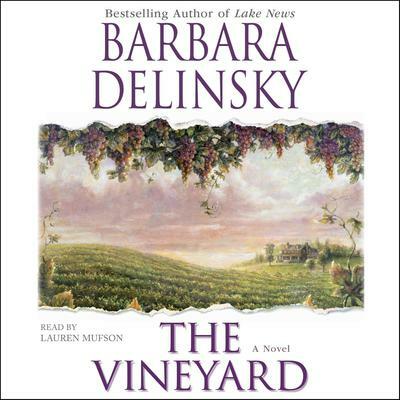 This was interesting--I like how she interwove the history of the greatest generation in (from a woman's perspective)...and who doesn't love a vinyard...... "
" I happen to like Barbara Delinsky but this book left much to be desired. It took me a long time to read this book since I could never get into it. It was an okay story but nothing really happened. And what did happen was some what predictable. " " I am a fan of Barbara Delinsky, but I didn't like this one as well as others of hers I have read. Pretty predictable and "fluffy" but I read it quickly. I did learn a lot about grapes and wine making, which was interesting. Not a bad book, just not too gripping. " " Charming A nice beach read. " " This is a fairly predictable romance novel; romance novels are not my thing. But, I like to read one every now and again. This did have some interesting information on vinticulture. " " This was just a nice book. Barbara Delinsky always develops her characters so well. They really become your friends. And there are a lot of family issues dealt with in this one but everyone in that family is really a nice person. They just don't communicate well. " " the vineyard was okay i guess. its one of those books about happiness and struggles in the vinetyard and the family. this book has a chapter about history too. " " The author's level of research into an industry she was previously unfamiliar makes this book seemless. " " I enjoyed this book. Easy read but fun characters. I enjoyed the interactions. Great read for vacation. " " excellant book. Wonderfully told story with twists and turns that will keep you reading until late into the night. Keep the tissues handy, this one will tug at your heartstrings. " " I remember reading this book and liked it...plus its set in Newport! " " This might be classified as a light romance. It was mostly about family relationships. It's a gentle story that kept me reading, and there was a little mystery involved too. I liked it. " " A good enough book but not one of my favorties by this author. " " Set in a vineyard. Olivia Jones and her dyslexia daughter Tess. Olivia spend the summer on Natalie Seebring's vineyard helping to write her memoirs. The book gives insights into the struggles of wine growing crops and insight into a child's dyslexia's issues. " " Classic case of "Walk a mile in my shoes before you judge me!" We often think we know everything about our family members. We just as often have no idea what really goes on in their brains. Maybe more listening (or asking) is in order. " " Okay...it was a random selection (on sale)...nothing too exciting...kept me company while on the road over the Thanksgiving break...I'm a better reader than a listener... "
" I have read many of her books and I loved this one. Read very quickly. " " I really enjoyed this book. I read it a while ago and still recommend it to my friend as it stuck with me. "